HERE's how the roads are looking for drivers this evening. 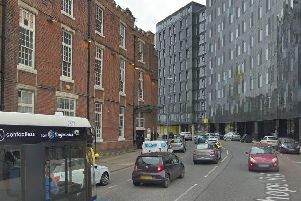 Portsmouth - Kingston Road/Fratton Road and Goldsmith Avenue are all experiencing the usual levels of traffic. Fareham/Gosport - A32 remains busy this evening with the usual traffic. Havant/Waterlooville - Hambledon Road is very busy due to construction work. A27 - Multi-vehicle accident heading eastbound on Western Road towards Portsbridge Roundabout. Two ambulances, police car, paramedic and first response vehicle on scene. Westbound very busy between the Portsbridge Roundabout and Junction 12 of the M27. Bus services - All running. Train services - No delays. Hovercraft - Services operating to timetable.